*DISCLAIMER* This is kind of long...hope you enjoy reading. This is opinion based. You want facts, analytics, stats, etc? Read the articles of the people who get paid to write those. I write enough of that for my job. This is a fun piece about one of my favorite times of year about my favorite team. Enjoy. It’s a hockey fan’s birthday in two weeks. We each have a list of things we’d love to have on this one day of the year where we can see our teams get those key pieces added to their roster, but ultimately are lucky if we get one of them. And that’s fine. Hell, if you’re a fan of a team that needs no visible upgrades, nothing wrong with that. In fact, you probably have the fanbases of 30 other teams jealous that your cake has more icing. But for some teams, more icing is need (just not on the actual ice). Maybe the cake is missing a couple of candles, those that can light up the scoreboard or ignite a fire under a dull team. 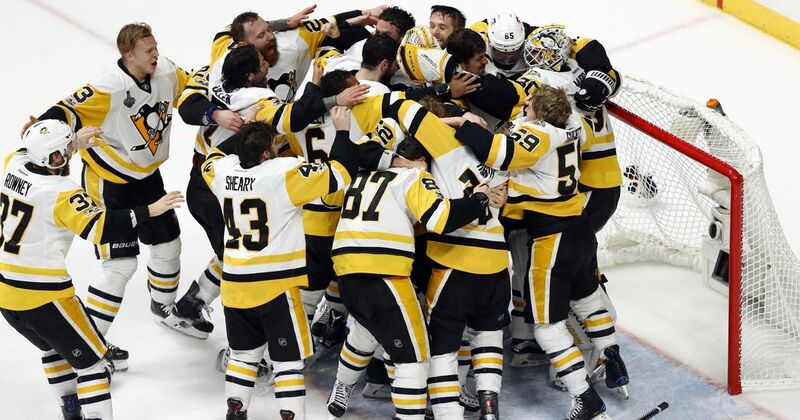 For the Pittsburgh Penguins, they have an opportunity to light a historic candle in June by doing the near impossible in this era; winning a third straight Stanley Cup. In the following post, I take a look at some rumors surrounding the team, what they need versus what we as fans want and what the Penguins may do come February 26th at the NHL’s Trade Deadline. TSN, Sportsnet and The Fourth Period are my main points of reference for the post. Every year, the Trade Deadline riles us fans up to no end, ultimately to disappoint, more or less. Whether a team is selling, buying or a contender looking for one piece, it is very rare a fan leaves completely satisfied. But, to further delay my Penguins preview, I have a few things to vent about regarding this wonderful time of year. 1. Prices for rentals get increasingly more absurd with every passing year. This year, the biggest fish to land is Buffalo Sabres' winger, Evander Kane. Previously reported on Insider Trading on TSN, the Insiders noted that the Sabres are looking for up to four pieces. A first-round pick, top prospect, roster player and future pick. For a player you may only have for a couple of months, the price is absolutely insane. The same can be applied to other big fish like the New York Rangers' Rick Nash. 2. Piggybacking off of the previous point, players like Montreal Canadiens' center Tomas Plekanec is slated to be exchanged for a second-round pick? Columbus Blue Jackets defenseman can be had for a "low first-round pick"? Seriously? Any team that pays those prices may want to look for a new general manager in July at the draft. Some players are so overpriced, it's almost laughable. 3. Finally--for now at least--the phrase has been said on every platform so far. There is too much supply and not enough demand. With so many players rumored to be available and contending teams with tight cap situations, it is rare that we will see any blockbuster move. Sure, it could happen, but with so much parity in the league and most teams unwilling to make a huge deal in the regular season, all we are going to be left with, more than likely, are the "what ifs" like we always are every year. 1. Mike Green (D) - Mike Green was a Penguin killer during his days with the Washington Capitals. The pending unrestricted free agent is garnering interest from almost every team in the league and why wouldn't he? The Detroit Redwings right-handed shot defenseman was one of the most gifted offensive defensemen until the emergence of the likes of Victor Hedman and Erik Karlsson and his ability to put up points from the blue line has to intrigue any playoff bound team. 2. Evander Kane (LW) - Hinted at Kane earlier and will talk about more later. Despite personal issues that I believe get too overblown in the media's coverage, Kane is a physical and skilled winger. More than half the teams in the NHL are taking a look at him, but are the prices too high? 3. Thomas Vanek (LW/RW) - Vanek has become a bit of a journeyman over the last several seasons of his career. A gifted goal scorer when he's on his game, Vanek could certainly provide depth scoring for any team looking to bolster their offense. However, while Vanek is having a solid season for the Vancouver Canucks, he can go just as cold in the snap of a finger. A risky addition if a team decides to pull the trigger. 5. Alex Galchenyuk (Forward) - I put the Montreal Canadiens' youngster as a forward because for years now, Montreal has not been able to figure out whether or not he is a winger or a center. So many attempts at each position with no real sense of regularity has left "Galch" in a state of limbo. Supremely skilled and fast, Galchenyuk's name is a coveted one, but will Montreal ever trade him? 6. Mark Letestu (C) - A former Penguin who found success last season alongside the Connor McDavids...er, I mean, the Edmonton Oilers. Sorry, you forget anyone else plays for that team after McDavid scores. Regardless, Letestu was a catalyst for much of the Oilers' power play success and has the ability to kill penalties. A solid depth center for teams looking. 7. Tomas Plekanec (C) - Truthfully, I talked enough about Plekanec in the point above. First prediction for the Penguins: STAY FAR AWAY! Immediately off the list for me is Plekanec, Green and Vanek. I like Smith and Letestu, but feel that there is surely a better option available for a third-line center. Out of the seven on that list, there are two names that I'd love to see the Penguins take a run at; Kane and Galchenyuk. In the case of Galchenyuk, I'm sure the general manager Marc Bergevin would want the farm for Galchenyuk and while the Penguins may have some draft picks and prospects the Canadiens could be interested in, who off the roster could help Montreal? Kane is the interesting one. Sure, he's a big name with a big cost, but I feel there's at least a 50% chance to nab him. Pens could sacrifice a first-round pick no problem. As long as Buffalo wouldn't be dead set on acquiring Daniel Sprong, the Pens have several forward and goaltending prospects that could intrigue the Sabres. Because Pittsburgh is in absolute win-now mode, what's another draft pick, at least for this year? At best, the Pens have two more dominant years before needing to rebuild a bit, so spend the picks. The roster player is the big question. Who, on the Penguins, that makes a considerable salary could be shipped to Buffalo? My best option: Conor Sheary. Now, don't get me wrong, I love Conor and what he's done with the team over the past three seasons, but he's the most enticing piece aside from the untouchables of Sidney Crosby, Evgeni Malkin and Phil Kessel, to name a few. Sheary is young, fast and can score goals. He has valuable playoff experience and has an affordable contract for every team in the league, making $3 million a season over the next couple of years. Are the picks too much? Not for Buffalo. Let's face it, too, does Buffalo and its fans really think Robin Lehner is a superstar goalie? Buffalo needs someone to stop pucks in the near future and from all accounts, Gustavsson is a quality prospect. With Tristan Jarry and Casey DeSmith in the fold, the Penguins have depth between the pipes. Also, dispelling the character issues of Kane, if you're general manager Jim Rutherford with the opportunity to win three Stanley Cups in a row, something that hasn't happened since the 1980's and Kane can help you, don't you think you could put up with him and his "issues" for three months? I think I could. Easily. Let's not forget about Buffalo general manager Jason Botterill's connection with Pittsburgh. Maybe a favorable discount? One can dream. Lastly on Kane, while a third-line center is obviously a key get for the Penguins this deadline, with the injuries to Patric Hornqvist and Tom Kuhnhackl along with some not-so-healthy, recovering bodies like Carter Rowney and Bryan Rust, another winger could certainly be used. Depth, baby. All about that depth. The offer is at least a starting point of conversation. On TSN, the names Jean-Gabriel Pageau (Ottawa Senators) and Derek Ryan (Carolina Hurricanes) have popped up. And, almost without fail, "Dad" Matt Cullen, currently with the Minnesota Wild, has been recently rumored to make a return to the Penguins. As much as I love Cullen, I personally feel he should have retired after winning his second straight Cup. I'm a fan of going out on top and he had the perfect opportunity. While I feel that what he brought to the team was invaluable with his leadership and clutch goals, is it realistic to think he could do it again for a third straight run? I'm not so sure. Obviously, the flashy name out of those three is J-G Pageau. Scoring eight goals in the Senators' run last postseason, the 25-year-old certainly opened some eyes. A talented center who could be the anchor of a third line consisting of more offense than Ottawa currently boasts could see his production increase tremendously. Like Kane, a package for Pageau could be costly, and that's even if he is available. Once again, I offer Sheary as the roster player Pittsburgh could put up, if they decided to go that route. The contract lengths and ages are the same. The offensive production is similar. Pageau makes $100k more than Sheary, so even the contracts or comparable. Big question is does Ottawa want another NHL player or more prospects and picks? I'm leaning toward the latter. Admittedly, this offer is probably not the best, but again, a conversation starter. The Sens get a promising offensive prospect and two picks to help their inevitable rebuild. The Pens get a bonafide center who could help cement their depth down the middle with Crosby, Malkin, Pageau and ever improving Riley Sheahan. Not to mention Carter Rowney as a depth center or the ability to move Pageau to the wing, if desired, to have Rowney in the lineup for his penalty killing acumen. Ottawa certainly has no obligation to move Pageau, but with enough evidence that the Penguins have looked into him, it is certainly an option worth exploring to its fullest extent. Another name kicked around was Montreal's captain, Max Pacioretty. What a dumpster fire of a year the Canadiens have had, but to think of selling their captain is insane to me. Would he look great in black & gold, absolutely, but there is so much against this trade from even reaching the phone lines that it makes no sense to further expand upon it here. Ian Cole. His name has been the first trade chip mentioned for almost the whole duration of the season and to be honest, I'm baffled by the fact that he could be traded and also at those that predict he wouldn't fetch more in a trade. As mentioned previously, Jack Johnson could nab a 1st round pick! If he can get that, Cole could easily get a second rounder. But why? The most repeated phrase in playoff preparation is that "you can never have too many defensemen." With Matt Hunwick and Chad Ruhwedel scratched and the trade with Dallas to bring Jamie Oleksiak to Pittsburgh, you could argue that Cole is expendable. However, who else on this team will sacrifice, or has sacrificed their bodies, more than Cole during the playoffs blocking shots? I personally believe he is a needed asset if they intend to win a third Stanley Cup. Speaking of Hunwick, it seems a majority of fans want him gone. I'm indifferent. I haven't seen him play enough to get a good feel for him, but from what I have seen, I'm left scratching my head as to why the Penguins signed him for three years. Still, I don't see him getting shipped. Maybe next year. Carl Hagelin was everyone's favorite forward to throw out there in the first half of the season. Over the last few weeks, Hagelin's been able to produce points and that is so encouraging that he is coming along at this point of the regular season. His speed is key in the playoffs and no one else in the league that's deemed available, other than New York Rangers' Michael Grabner, can match the man who scored the empty net, game clinching goal last season to ensure a Stanley Cup win in Nashville. The biggest bit of currency the Pens have are draft picks. The biggest hiccup with having draft picks to spend, in the Penguins' situation, is not being able to relieve some cap space to make the larger moves. Or any move, really. So what will the Penguins do? ​1. I have to believe that GMJR makes a move for a center. He has to. Whether it's Pageau or Letestu or Cullen or maybe someone who has not even come up yet, I can't imagine he doesn't make a move to address the biggest need. 2. As much as I'd hate to see it, I do have a 60/40 feeling that Cole could be moved to free up some cap space. Again, don't want it to happen, but it wouldn't surprise me. 3. Aside from getting that center, I don't think the Penguins will do much, honestly. With the emergence of Dominik Simon--to a lesser extent as previous Wilkes-Barre/Scranton Penguins in previous years-- and confirmation of Daniel Sprong's talent, the Pens have wingers who play well with Crosby. Malkin and Kessel are on fire. Matt Murray is finding his game in net. The defense could still use some tweaking here and there, but overall is fine. The biggest thing for this current bunch of Penguins, like it seems to be annually, is getting healthy by April. I want Evander Kane. I want J-G Pageau. I want one more defenseman. I want them to go all in for history, similar to 2013, but with a much different result. I want to find a good stream of TSN's TradeCentre coverage. I hope I get at least one of these. Below is an area for you to leave your thoughts and opinions on not only this piece, but the Penguins or just general trade talks in general. Hope you enjoy and to hear from you soon!